I Can Not Get Enough of her beauty! I watch with wonder this beauty! Simply unbelievable that I baked. As I have already written most of the occupation of the bread baking. I always look forward to baking bread in the days and completely turned off by molding. They are notpre-plan model, and then point at the moment is the idea. Preparation of yeast, 1-2 days before cooking. It is beautiful! Just devine. That is amazing! 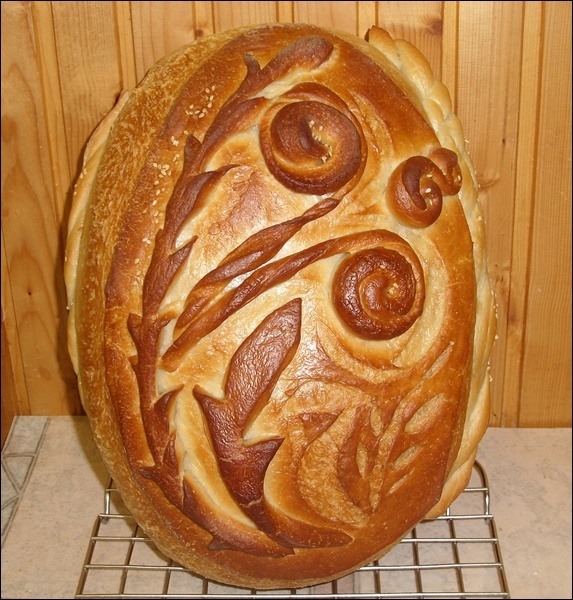 Thank you for posting pictures, I've never seen bread "art" before and am totally blown away! So verrrryyyy pretty!